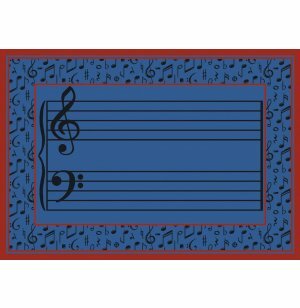 A treble and bass clef with music notation lines stand out against a harmonious border of musical symbols and notes in this beautiful Fully Staffed carpet. 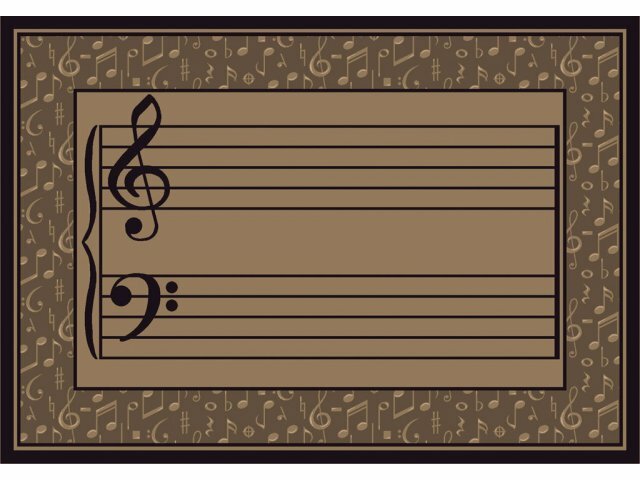 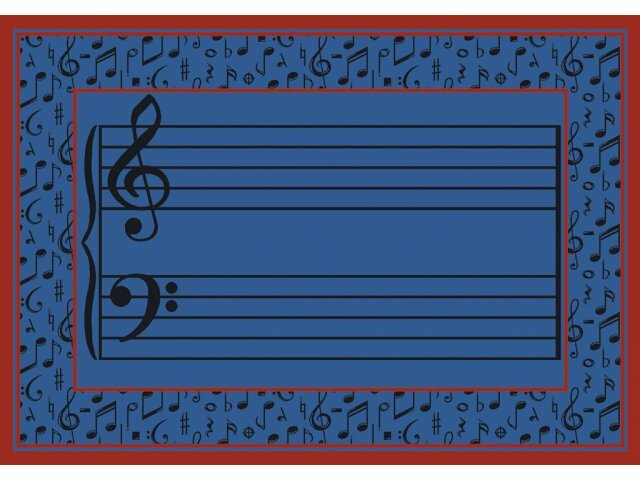 The clearly marked center makes it an ideal tool for teaching children basic note recognition in an interesting, enjoyable way, while its understated elegance makes it the perfect accent piece for advanced music rooms. 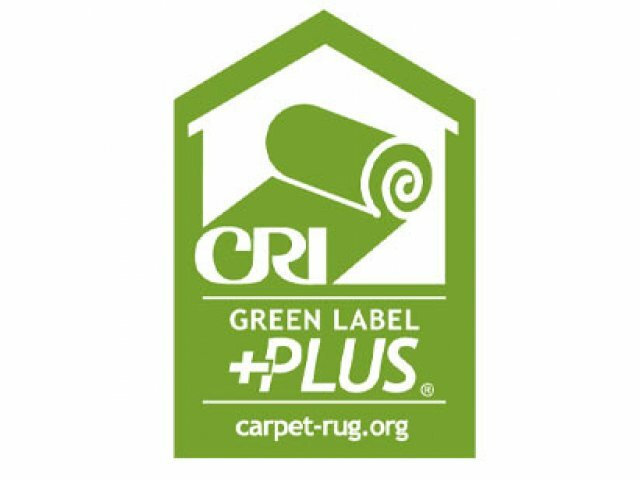 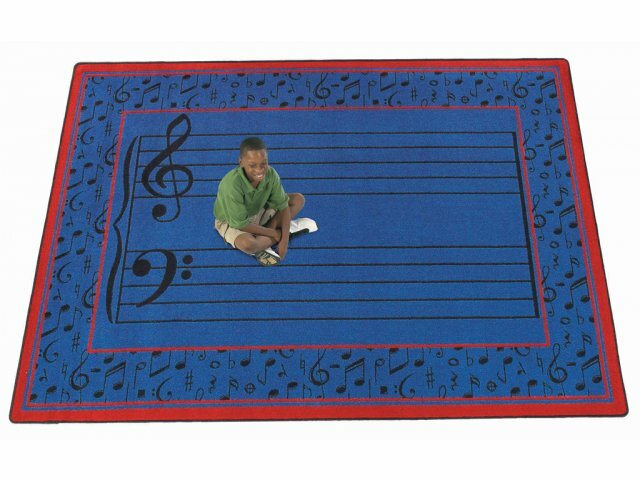 Available in three soothing colors, this carpet will set the tone for music classes of all ages and levels.